Maybe it would be better to emulate them. 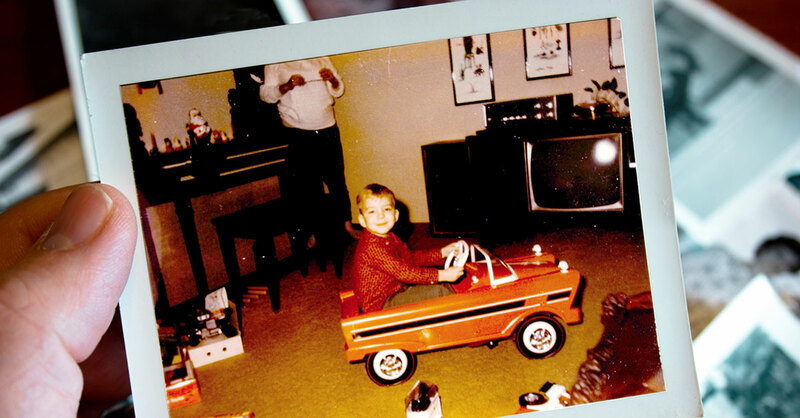 We now know from science—not conjecture—that nostalgia is good for you. It can improve your mood, help you become more resilient and increase your motivation to tackle new challenges. To learn more, Bottom Line Personal interviewed psychologist Krystine Batcho, PhD, an expert on nostalgia. At its core, nostalgia is a sentimental affection…a yearning…for the past. We associate it with being older, but young adults often are intensely nostalgic, too—for their childhoods. Empathetic. They feel things deeply—and other people are a high priority. Resilient. They use healthy coping strategies in stressful times, including getting emotional support from others and expressing their emotions rather than burying them. Stronger in their sense of self. They have a keener sense of who they are ­inside while remaining respectful of other people’s standards. Less anxious. The sense of continuity from connecting to the past can have a grounding effect, helping to ease stress. More connected. When lonely, nostalgic memories encourage people to reach out to others and stay socially connected. That counteracts loneliness and may help prevent depression. Better at reaching goals and solving problems. They are more likely to employ approaches such as planning, strategizing and reframing a situation more positively—and then take action to improve the situation. More positive. A study in Psychology & Health found that people who were asked to write about a nostalgic event rather than an ordinary event scored higher immediately ­afterward on measures of health optimism…and got more exercise over the next two weeks. Nostalgia even can change how you feel physically—making you feel warmer in a cold environment. Listen to songs from your early days. Songs we loved as teenagers or young adults retain their emotional power throughout our lives. Listen to your favorites—and remember how you felt back then. And watch old movies you enjoyed when you were younger, especially those with great sound tracks. Flip through your past. Look through boxes of old family pictures. Dig out your yearbooks or souvenirs. Reminisce with others. Getting together with old friends or family can provide opportunities to bring up crazy old memories…and sometimes share stories of someone who has died. Recruit your senses of smell and taste. These olfactory cues are particularly effective at triggering autobiographical memories, studies show. Breathe in a scent you loved…cook your favorite childhood dish. Anticipate future nostalgic moments. The next time you spend joyful time with friends or family and something memorable happens, call attention to it. Say something such as, “Let’s remember this moment!” This is called “anticipatory nostalgia.” You’re storing up future nostalgia recollections. Is there ever a downside to thinking about the past? Yes, there can be. Brooding about past negative experiences (injuries, rejections, mistakes)—what psychologists call rumination—can contribute to depression. Most nostalgia, in contrast, evokes a positive feeling. Some forms of nostalgia can be problematic, too, especially historical nostalgia—a longing for a past era. The desire to escape into an idealized world of yesteryear, say Edwardian elegance or 1960s free-spiritedness, can sometimes lead to becoming more isolated as you spend more time alone. If so, consider whether you’re neglecting people or issues in your life, and work to restore healthy relationships by reaching out to others. Personal nostalgia is more positive. It’s often joyous, although it can be bittersweet and poignant. But that’s good, too—it can help you ­integrate negative feelings, such as grief over the loss of a loved one, with positive feelings, such as memories of good times spent together. Yet personal nostalgia can become unhealthy if it traps you in repetitive memories of the past without attempts to seek fresh positive experiences. Ask yourself, How am I building on my past? How can the love, knowledge and skills I once enjoyed help me move forward? At its best, revisiting a happy or healthy period from the past can help you gain strength and optimism to handle the challenges of the present. Fond memories of the past haven’t always had a good reputation. The term “nostalgia” was invented in 1688 by Johannes Hofer, a Swiss physician who combined the ancient Greek words for “home” (nostos) and “pain” (algos) to make “nostalgia.” He considered the phenomenon a debilitating form of homesickness, which was weakening the troops. In 1733, a Russian general whose soldiers came down with the nostalgia bug punished a few by burying them alive. Over the following centuries—even into the early-20th century—nostalgia was considered a psychiatric disorder, a form of depression or melancholia. Over the years, treatments have included leeches, stomach purges and shaming.